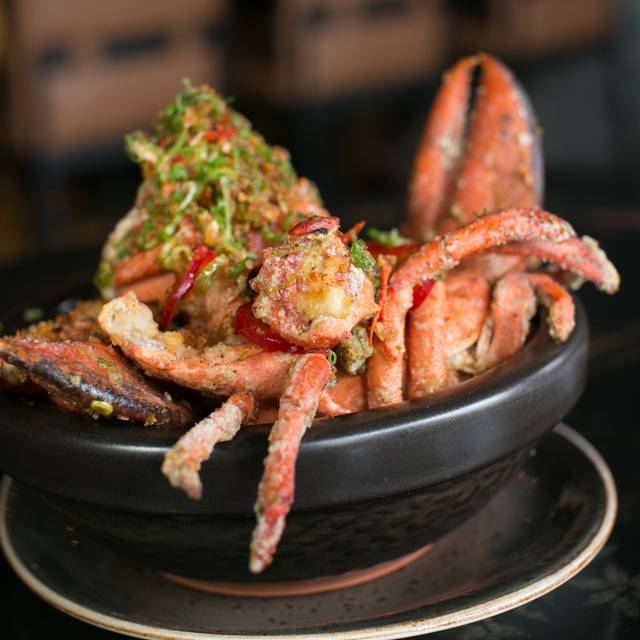 Little Sister Manhattan Beach features East-meets-West inspired dishes served in a relaxed social environment that feels more residential than restaurant as if you're being invited into the Chef Tin's home. 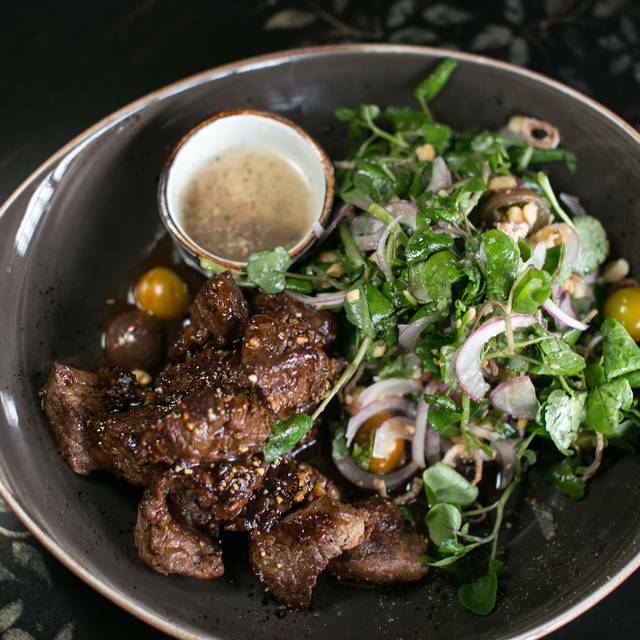 Little Sister's menu showcases Chef Tin's take on one of the more interesting and rich collisions of food and culture that was borne out of the European colonization of Southeast Asia. 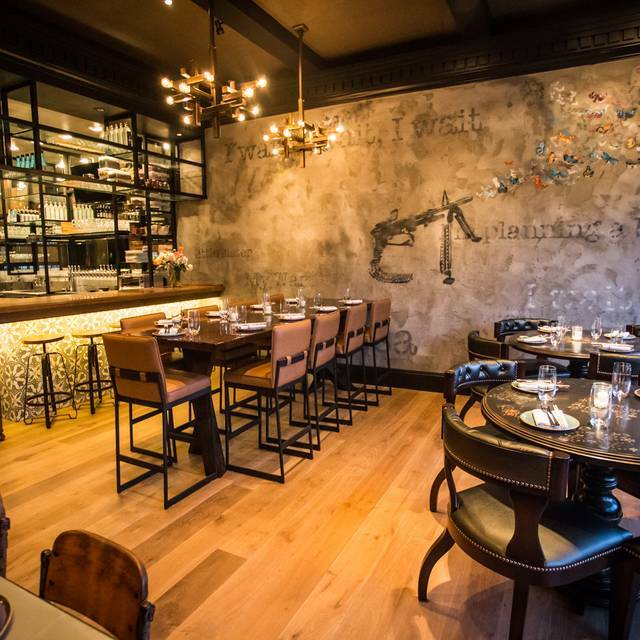 The menu is continually and progressively evolving to reflect the seasons. Grilled Pork Spring Roll "Nem Nuong"
Confit Duck Tenderloin "Goi Vit"
Charred Sugar Cane Shrimp "Chao Tom"
Beef Randang "Dry Beef Curry"
A modern Vietnamese restaurant in Manhattan Beach. Delicious, fresh, innovative. Every dish was tasty and interesting. Highly recommend to any fan of Vietnamese or Thai cuisine. The dishes were brought at perfectly timed intervals, and the meal only took about an hour and a half. Great for any occasion. 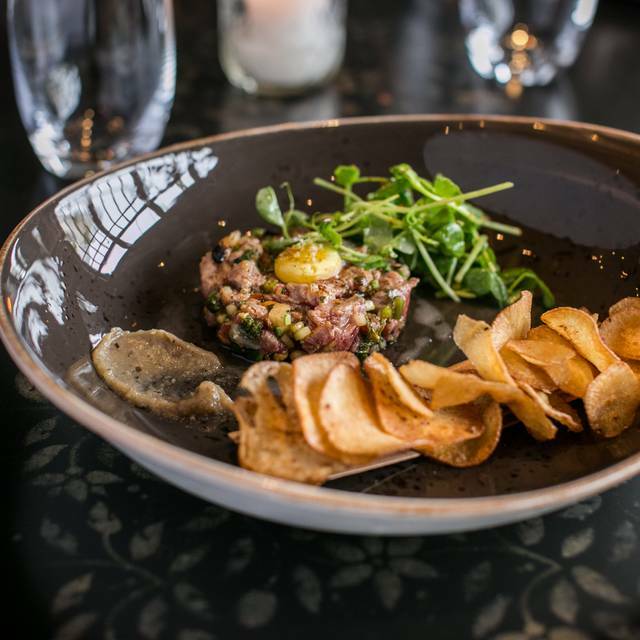 the food was flavorful and beautifully presented and the service was professional with good suggestions regarding the dishes and wine selections. overall, a lovely experience! Food was amazing we absolutely loved everything we ordered! One of my favorite restaurants! Not good service and a squeaky door to the kitchen that was so annoying my client was distracted during our conversation. This place was enjoyable but after my last three visits I will not be going back or order delivery from them. food is incredible. so flavorful and delicious. loved the okra curry and crepe. 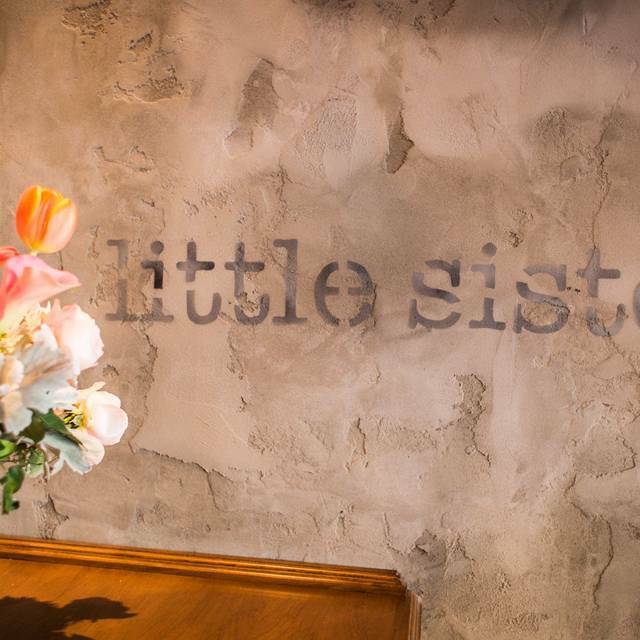 Little Sister is one of my favorite restaurants in Los Angeles. The food has always been delicious. This time around however, I noticed that the new menu has become very pork-dominated, way more than it it was in previous years. The bread and butter came out with bits of pork sprinkled on the butter, many of the seafood and beef dishes contained pork as well, and even the vegetable section of the menu had pork in many of the items. I thought at least the vegetable section would be safe! It's disappointing for those of us who don't eat pork, to come to one of my favorite restaurants and have to dodge majority of the menu. Also, I noticed a sharp increase in prices this time. All these changes are annoying, I may have to find a new favorite spot. Birthday dinner. Not dessert offered. Food was inedible. Not the Little Sister food I’ve had before. We won’t be back. Everything we had was delicious. The lobster and shakey shakey beef are the best. 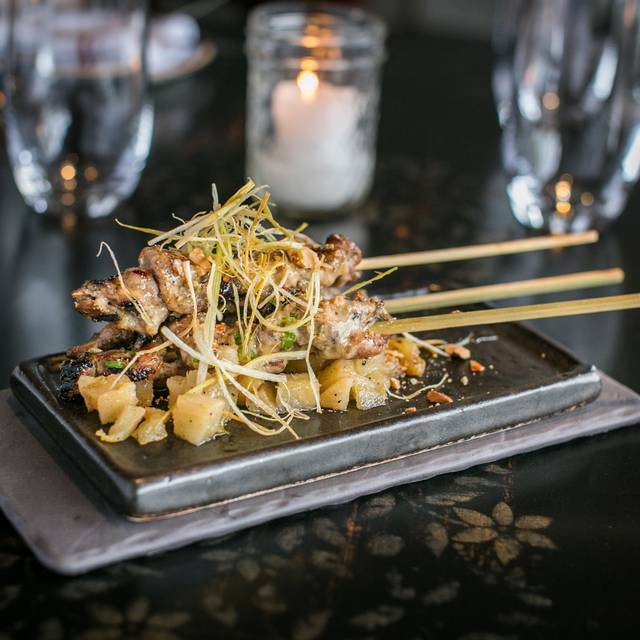 Their spice hour from 4:30-6:30 allows for some discounted appetizers and drinks. The ambiance is urban and hip. Very loud and tight tables. The music is loud but up beat and fun. The food options all look delicious. I would have rated the food higher but the second dish was so spicy it burned my tastebuds. The wait staff was helpful with menu alterations. The food came out fast. Almost too fast. Then when they cleared our final plate there were zero niceties, just a check. No offer for desert or coffee or even a chance to finish our wine. Just a rude drop of the check. We felt so rushed out it totally ruined the whole experience. I don’t think I would go back which is a shame because the scene and the food is great. Great flavors - very tasty. Pricey but unique dishes. The restuarant was pleasant and the wait staff nice. The food was good, but nothing unique. I spent 8 months in SE Asia and was expecting much more than I got from this restuarant. Overpriced for the experience. 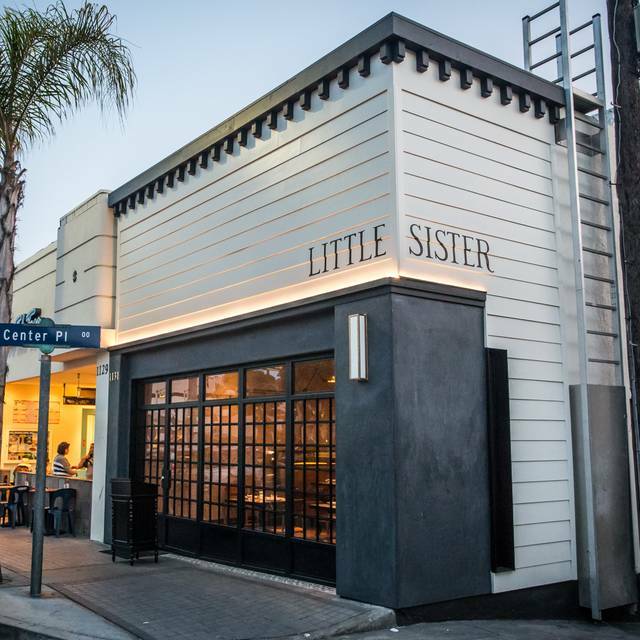 We have eaten at Little Sister occasionally since they opened in MB. Sunday evening was our most recent and very disappointing visit. The service was excellent; the waiter friendly and knowledgeable abut the foods. Four of us shared about 10 different dishes. Portions are fairly small. It seemed that many of the ingredients [noodles, veggies, etc.] were precooked and presented without any distinctive flavor in the bowls. The original quality of presented food has not been maintained. I don't envision their continuing at that location. I love going to Little Sister. The food is imaginative and delicious. We go as often as I can get a reservation. Don’t go on sundays as they were out of all fish options “because it’s Sunday” according to server. Dishes we choose were subpar at best. Considering it’s $20+ for dish it’s a waste of time and $. Nice to try once. Simply amazing; went there on a whim...easily the best surprise of the year so far. How does a restaurant not have a high chair or booster! Such a Fun way to celebrate with friends food was great music great wind were fantastic! Def going back for more celebrations! 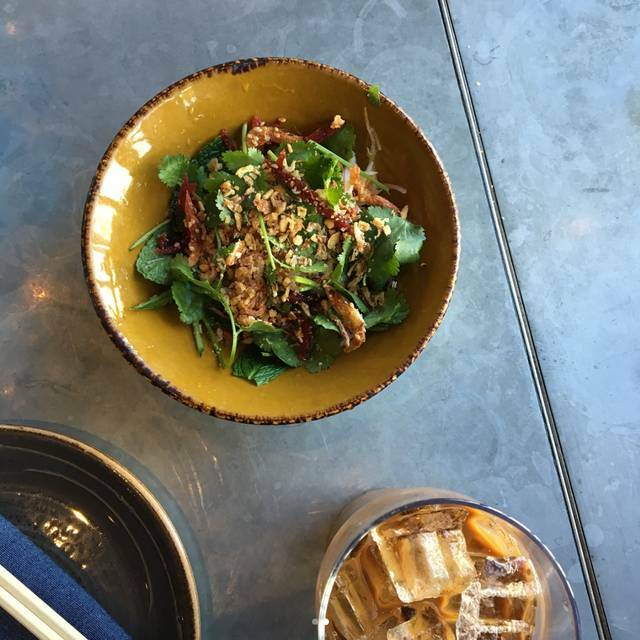 We went for happy hour and ended up trying all the items and not one disappointed. Highly recommend! Great food. Enjoyed the hip hop background music played at just the right volume. The wine and sake offerings are pricey. The Tale of Two Restaurants. It was the best of times; it was the worst of times. I ate in this restaurant two days in a row and had 2 entirely different experiences. I now see how a restaurant can legit get 1-star and 5-star reviews. On Saturday our service was attentive with good dish suggestions that our party might enjoy. The music, if there was any, faded into the background behind the happy din of conversations. And the food! It was fresh, innovative, varied , and delicious. Because I liked it so much, I brought another group the very next night (Sunday). We came early since we had an early flight the next morning. It was, unfortunately, the worst dining experience I’ve had in 10 years. It was like I was in the same restaurant in an alternate universe or in the bizarro world. Rap music repeatedly blasted lyrics with the F* B* and N*** words. At first the hostess skipped the song (I mouthed “thank you”) but then turned it up for even more graphic and offensive lyrics. Then our food came out. It did not taste good. I honestly think the kitchen warmed up leftovers from the night before. The okra in the red and black rice which was fresh the night before was dried up and felt and tasted reconstituted. The dumplings tasted reheated as well. Service was perfunctory. All in all we felt like they just didn’t want us as customers. I can’t believe I actually paid to eat leftovers in a restaurant that was literally blasting music with the N word over and over again. Why do that to your customers? For the most part it was a very nice dining experience. The dishes had nice flavors but I felt the balance was slightly off on everything. Some items were a bit too salty and intensely vinegar flavored. The Nem nuong rolls we're just ok. The vinegar content in the roll fought with sauce and left me confused as to what I was tasting. The lobster was good because we'll lobster. I really enjoyed the eggplant dish and spicy kick was very good. The E-fu noodles we're good as well but a little salty. My only knock on this place is that it doesn't have a full bar. The downtown location had some very good cocktails which paired nicely with the meal. All in all the service was great and the ambiance was cool. Our meal was very good and we had a lovely server! The odd disappointment was that two of the chairs at our table were particularly low, making us feel like we were sitting in kiddy chairs. We aren't big people, but we aren't unusually small either. It was just not that comfortable. I loved the hip music (Drake, etc.) even though I'm in the "old" category!! First visit to Little Sister. Had heard great things and the food certainly didn't disappoint. A couple of things spoiled what would have been an awesome evening. Firstly the noise was overwhelming. Its a restaurant not a nightclub. I get you want a buzzy ambiance but looking around at the diners and everyone was shouting to be heard over the other people shouting. Secondly, we have a pescatarian with us. There were many appetizing looking fish dishes on the menu but they all seemed to include pork or chicken as part of the dish. Why no fish only dishes? Anyway, as mentioned previously food was excellent. Can strongly recommend the shakey shakey beef and lamb satay. Take earplugs. Excellent service, great atmosphere. Food was amazing - so delicious and fresh with plenty of options for every type of foodie. 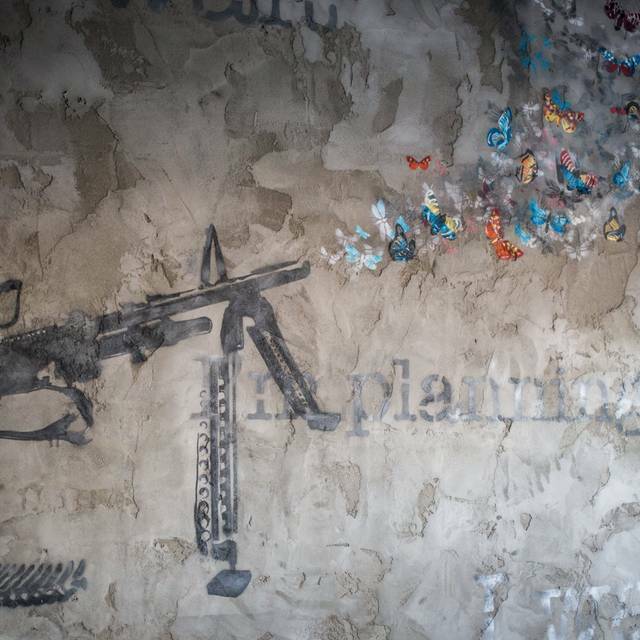 highly recommend and look forward to re-visiting. I really enjoyed the food at Little Sister. My husband started with the Chicken Larb Salad. My Eggplant and Sausage appetizer was not as flavorful as his Larb. He followed with the Brisket Banh Mi. I had the Chicken Noodle Bowl with herbs, a few veggies and a nice sauce with zing. Will definitely return. Waiter was terrible. Way too lax and forgot orders, charged our card for someone else’s bill, etc. Food was ok but for a dinner that cost almost $200, there was much room for improvement. Would definitely return, great find. Fresh ingredients used in creative and appealing ways. Friendly guidance from our server on how much food was appropriate for my husband, daughter and myself to enjoy. This place was great my wife and I enjoyed the food very much. Probably my fifth time there, I'm getting to know the menu and staff. Nothing has failed so far. I always ask for a window table and amazingly I'v almost always gotten one.